The Mercedes-Benz ML 63 AMG, featuring a powerful 375 kW (510 hp) AMG 6.3-litre V8 engine, unveils its updated exterior takes on a more attractive appearance thanks to some subtle but effective changes. From the front, the eye is immediately drawn to the new bonnet with power domes, and the darkened bi-xenon headlamps with active light function. The rear, meanwhile, also contributes appropriately to the new look: the performance SUV now features darkened tail lamps incorporating a clear-lens design and LED technology. The subtle changes to the exterior coordinate perfectly with the high-gloss, chromed front and rear underguard, and afford the Mercedes-Benz ML 63 AMG an even more powerful and distinctive appearance. Still boasting a power output of 375 kW (510 hp) at 6800/rpm as well as 630 Nm of torque, the Mercedes ML 63 AMG is capable of accelerating from 0 to 100 km/h in 5.0 seconds, and achieves a top speed of 250 km/h (electronically limited). At the renowned International Engine of the Year Awards in 2009, the AMG 6.3-litre V8 engine took the top places in both the "Best Performance Engine" and "Above 4 litres" categories. 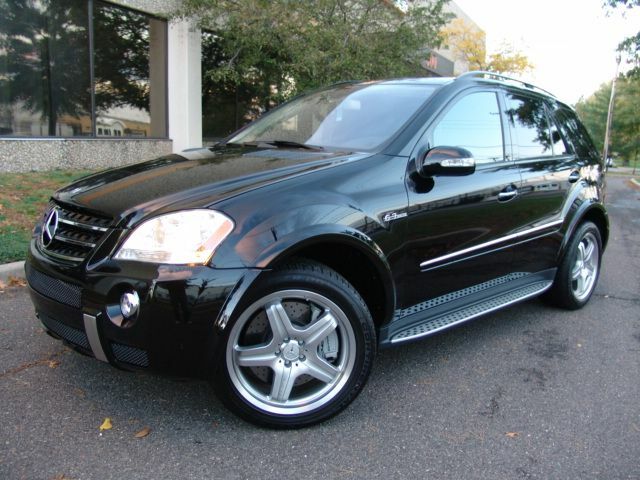 The Mercedes-Benz ML 63 AMG comes with 5-spoke AMG light-alloy wheels, which are painted titanium grey with a high-sheen finish and fitted with 295/40 R 20 tyres on the front and rear. As an optional extra, titanium-grey-painted, high-sheen twin-spoke AMG light-alloy wheels fitted with 295/35 R 21 tyres are also available. As usual, the interior of the Mercedes-Benz ML 63 AMG is both functional and high-quality: electrically adjustable AMG sports seats finished in nappa leather upholstery, with Alcantara inserts in the shoulder areas and multicontour function and heating, are complemented by the AMG sports steering wheel with AMG aluminium shift paddles and perforated leather on the specially-shaped grip area. A nappa leather-trimmed dashboard is also available as an optional extra. 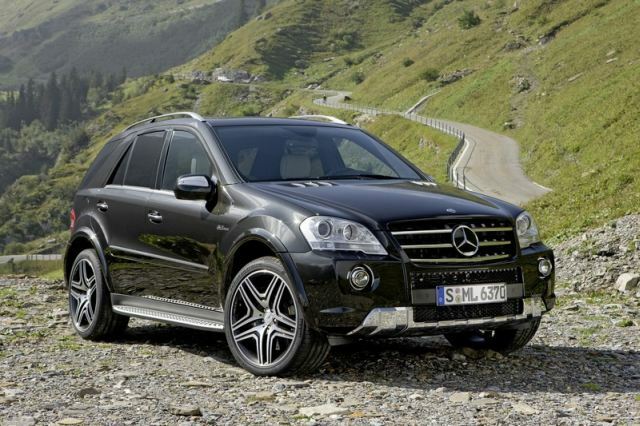 The updated Mercedes ML 63 AMG is available to order with immediate effect and will be delivered to customers from July 2010. It carries a price tag of 105,077 euros (incl. 19% VAT).